1.) 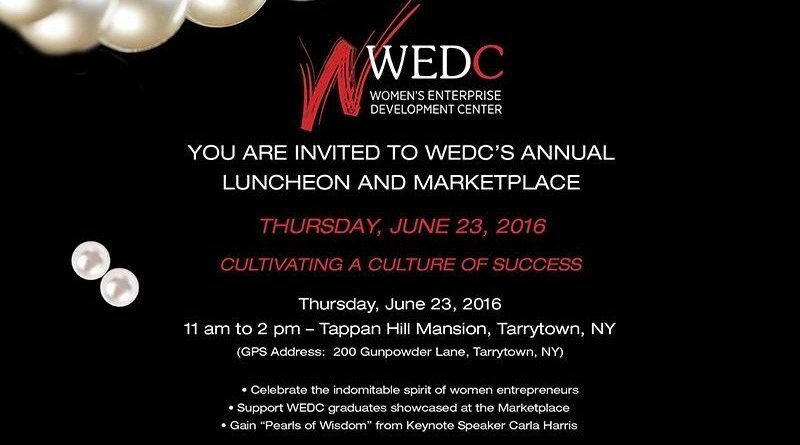 Join Westchester’s powerhouse?business leaders and entrepreneurs at the Women’s Enterprise Development Center’s (WEDC) annual luncheon and marketplace on Thursday, June 23 from 11 a.m. to 2 p.m. at Tappan Hill Mansion. Enjoy inspiring stories and invaluable advice on success from keynote speakers, and support WEDC’s graduates at the market showcase. ?Here are the details below. Students can learn design, merchandising and styling right here in Westchester through this collaboration of Operation PROM and the D’Allacco Group LLC. The classes are open to all kids aged 8 to 15. Get the?class schedule and sign up here.